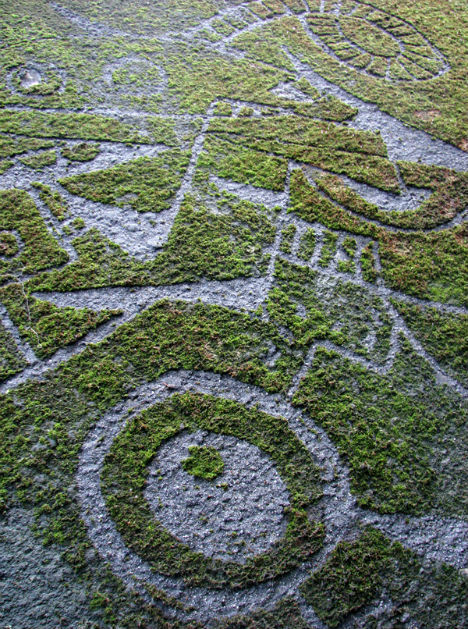 Moss has gained a reputation as one of the best natural art mediums, a living swath of vivid green with an irresistible texture that can be coaxed into various shapes and patterns. 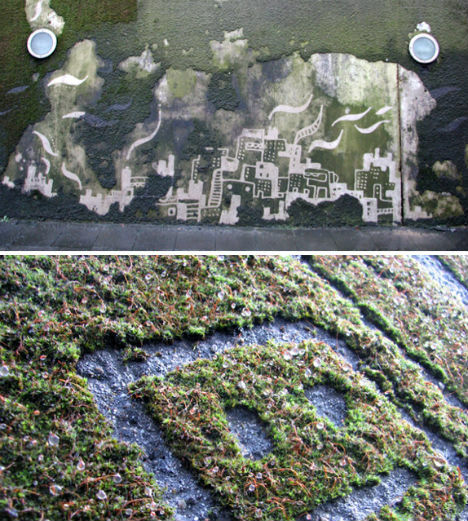 While most moss art involves either gluing sheets of preserved moss to a surface or painting on a mixture of live moss that will adhere to the surface and grow, this method – illustrated here by Stefaan de Croock – takes the opposite approach. Rather than adding something – like spray paint – to a surface in order to create a design, subtractive graffiti strips something away. That ‘something’ might be dirt on a sidewalk, or soot on a wall. In this case, it’s moss. 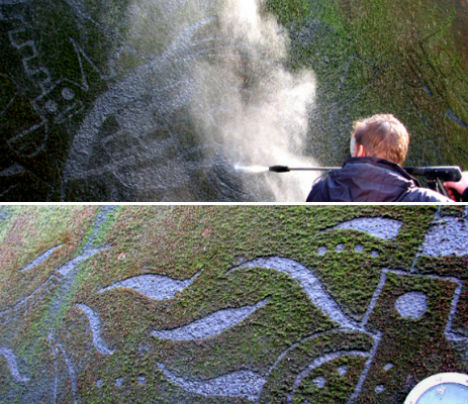 Using a pressure washer, de Croock (a.k.a. 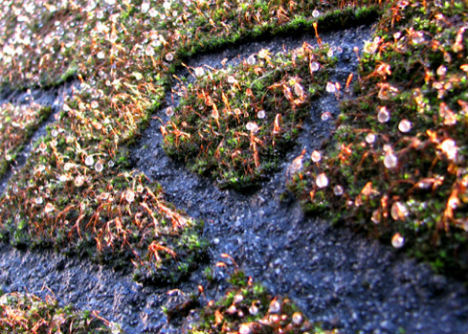 Strook) carefully removed moss growing on a wall in Leuven, Belgium. 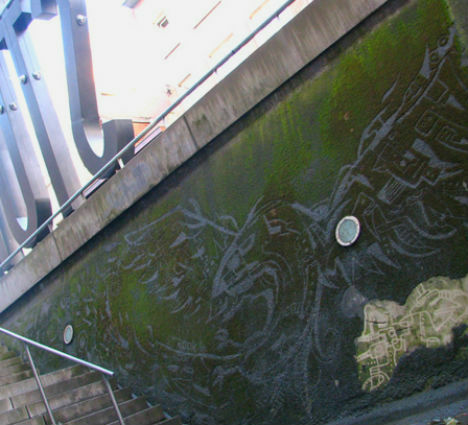 As the moss was stripped away, urban scenes full of giant robots were revealed. The mural was created outside the STUK art center, and likely grew back over within a few weeks.